This book is quite the surprise. The combination of historical fiction and mystery blending in new and exciting ways within its pages. Sano has everything to lose in 1704, when after the suspicious death of the Shogun's only daughter, and the sudden appearance of a supposed heir to the throne instigated by his longtime rival at court; Sano finds himself demoted and in fear for his life. The resourceful and indomitable Sano, proves to be a very likeable character from the start; drawing readers to his righteous, but never overbearing personality. As the story progresses and readers are made aware of who the players an this high-stakes game of political and personal chess; one begins to see Sano, and those he enlists to aid him as mavericks of intrigue. Just when you think that Sano's quest for truth and justice has been thwarted; he manages to find the unfindable or solve the unsolvable. That is not to say that things don't get more perilous for him and his family while they, and those helping them are on their case. It is in fact the constant threat of the wolf at the door that drives the plot and gives this story it's relatively fast pace. It seems that in addition to expertly crafted and flawlessly rendered plots, Ms. Rowland is quite the mistress of setting. 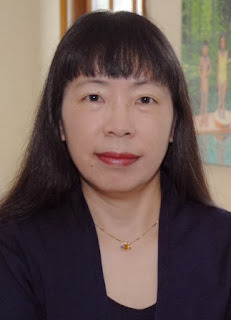 It is after all her vivid and engrossing scenes that wrap this wonderful tale in it's panoramic view of feudal Japan, presenting it in such detailed relief that readers are transported with an almost tangible way back to the time of silk and swords. This book is one that is a joy to read, easy to follow and hard to put down. 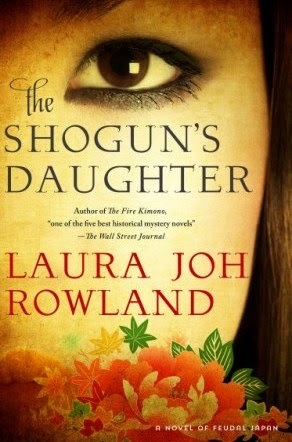 If you are a fan of the methodical sleuthing of Sherlock, coupled with the honor code and family loyalty if the Samurai, you are sure to love, The Shogun's Daughter.